With a love of fishing and boating, Mike Kleinman, a senior marketing major, set out to purchase a boat of his own a couple years ago. When Kleinman sold his boat, he said he was surprised at the amount of inquiries he got from people interested. Realizing that there is a large demand for small boats in Tampa, especially with the popularity of fly fishing, Kleinman created SkinnySkiffs, a company that buys these small boats, repairs them and sells them. Kleinman also sells SkinnySkiffs t-shirts and other apparel. Kleinman met Aaron Riccio, a senior marketing major and president of the UT Investment Banking Society, in a class. Riccio was looking for a business for the organization to partner with to give their members experience advising businesses in the way that investment bankers do, Riccio said. The organization partnered with SkinnySkiffs for this year, and Riccio hopes it will give Kleinman a sustainable business plan, as well as giving his club’s members a better idea of what being an investment banker is all about. 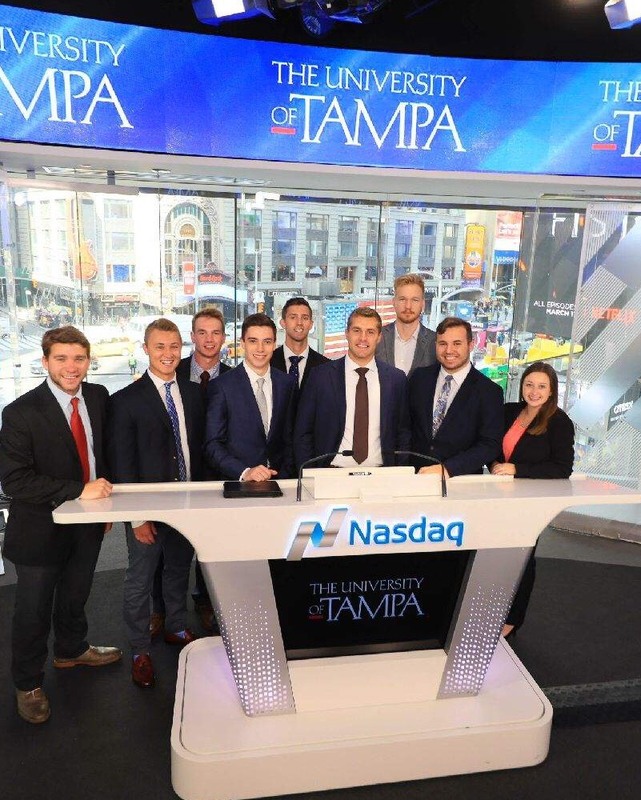 Aaron Riccio and David Kosman, both senior finance majors, founded the Investment Banking Society in Spring 2017 as a way to introduce students to investment banking, venture capital and private equity, and aid students that might want to go into the field. Investment banking is a type of banking that helps companies manage their funds and grow them, often through selling shares. Private equity and venture capital are types of investment funds. Kleinman said that he hopes the investment banking society will help him reduce costs and come up with strategies regarding how he can grow his business. “We can kind of organize the numbers; see what for future how we need to grow it, how we’re going to do it, and come up with a plan, and the biggest part would be execution.” Kleinman said. Kosman said that the partnership with Kleinman will help his club meetings become more hands-on. Before partnering with him, the club often had speakers from investment banks, and meetings were more geared towards giving members background information and understanding what questions to ask before going into investment banking, Kosman said. Kosman plans for the club members to figure out the total value of Kleinman’s company, as investment banks do before selling shares of a company. He also wants it to come up with a marketing plan, and a competitive analysis, which identifies how a company stands up to its competitors. Kosman hopes that the hands-on experience of working with Kleinman will bring in more regular members and help members understand what investment banking is, as many students who want to go into the field don’t get into their major classes until their junior and senior years. “I think in general it gives our members a more interactive kind of task to really understand what investment bankers, what venture capitalists and private equity professionals really go through on a daily basis,” Riccio said. The Investment Banking Society meets on Tuesdays at 9:30 p.m. in JS 237. Students can email Aaron Riccio at aaron.riccio@spartans.ut.edu for more information. SkinnySkiffs products can be found on the company’s website, skinnyskiffs.com, or on Instagram @skinnyskiffs.